Kyle Busch will run just five races in the NASCAR Camping World Truck Series this season; due in part to new rules designed to limit the involvement of long-tenured Monster Energy NASCAR Cup Series drivers. The so-called “Kyle Busch Rule” may keep Busch on the sidelines for most of the Truck Series campaign, but it will do little to discourage the former Monster Energy NASCAR Cup Series champion’s commitment to developing talented new drivers. Since its debut in 2010, KBM has provided an astounding number of talented drivers with their initial NASCAR National Series starts. Drivers Tayler Malsam, Brian Ickler, German Quiroga, Josh Richards, Drew Herring, Joey Coulter, Chad Hackenbracht, Erik Jones, Darrell Wallace, Jr., Christopher Bell, Justin Boston, William Byron, Cody Coughlin, Gray Gaulding, Daniel Suarez, Matt Tifft and Noah Gragson all got their first taste of NASCAR National Series competition at the wheel of KBM equipment. And while not all of them were able to parlay those opportunities into full-time rides, few (if any) organizations have done more to bolster the careers of talented young newcomers than KBM. In 2017, Kyle Busch Motorsports will once again field its familiar No. 51 Tundra in all 23 Truck Series events; with Busch (five races), Todd Gilliland, Harrison Burton and Myatt Snider all seeing time behind the wheel. NASCAR K&N Pro Series West champion Todd Gilliland will drive KBM’s No. 51 Toyota in four Truck Series events this season, with primary sponsorship from Toyota. 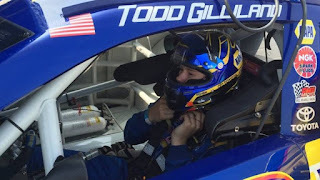 Gilliland -- the son of NASCAR veteran David Gilliland and grandson of former Winston West and Truck Series standout Butch Gilliland -- is set to make his Truck Series debut in KBM’s No. 51 Toyota at Gateway Motorsports Park on June 17, with additional starts at Canadian Tire Motorsports Park on Sept. 3, New Hampshire Motor Speedway on Sept. 23 and Phoenix International Raceway on Nov. 10. The 16-year old Gilliland notched a record-tying six victories en route to the K&N Pro Series West title last season, with six poles, 11 Top-5 and 13 Top-10 finishes. He also competed in five K&N Pro Series East events, with one win, one pole, three Top-5 and five Top-10 finishes. He also made seven Super Late Model starts for KBM last year. Burton – son of NASCAR veteran-turned television commentator Jeff Burton -- will compete in six races, beginning on April 1 at Martinsville Speedway, with additional starts at Dover International Speedway (June 2), Iowa Speedway (June 23), Eldora Speedway (July 19), Bristol Motor Speedway (Aug. 16) and Martinsville (Oct. 28). 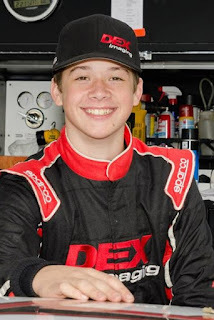 The 16-year old Burton also competed full-time in the NASCAR K&N Pro Series East last season, earning one pole and a seventh-place finish in the championship standings as a rookie competitor. He also claimed three Super Late Model victories last season, along with a third-place finish in his ARCA Racing Series debut at Iowa Speedway. Myatt Snider will run the remaining eight races, with primary sponsorship from Louisiana Hot Sauce. The son of veteran NBC pit reporter Marty Snider, the 22-year old will make his KBM debut in the 2017 season opener at Daytona International Speedway on Feb. 24. He is also scheduled to compete at Texas Motor Speedway (June 9 and Nov. 3), Kentucky Speedway (July 6), Chicagoland Speedway (Sept. 15), Las Vegas Motor Speedway (Sept. 30), Talladega Superspeedway (Oct. 14) and Homestead-Miami Speedway (Nov. 17). The North Carolina native won in his ARCA Racing Series debut at Toledo (Ohio) Speedway last season, adding three Top-5 and five Top-10 finishes in nine series starts. He also made his NASCAR Camping World Truck Series debut for AM Racing at Phoenix in November, finishing 17th. All three youngsters point to their new opportunity with KBM as a major turning point in their careers. Busch, meanwhile, will compete in five Camping World Truck Series events in 2017; one more than he contested last season. His No. 51 Tundra will carry primary sponsorship from Textron Aviation on March 4 at Atlanta Motor Speedway, with additional starts at Kansas Speedway (May 12), Charlotte Motor Speedway (May 20), Pocono Raceway (July 29) and Michigan International Speedway (Aug. 12), as he looks to add to his 170 combined NASCAR National Series wins. Busch’s Truck Series numbers are truly mind-boggling. The Las Vegas native ranks second on the all-time win list with 46 victories, winning a remarkable 34.6 percent of his starts since making his series debut in 2001. He has finished first or second in 52.7% of his starts (70/133). But as good as he is as a driver, “Rowdy’s” most important contribution to the Truck Series may be as an owner. KB gives so much back to the sport other drivers should take a lesson from him. Thanks for writing about KBM. It's a great thing that kyle has been doing this, in spite of his full time Monster Energy series job. He rightfully deserves Champion before his name.